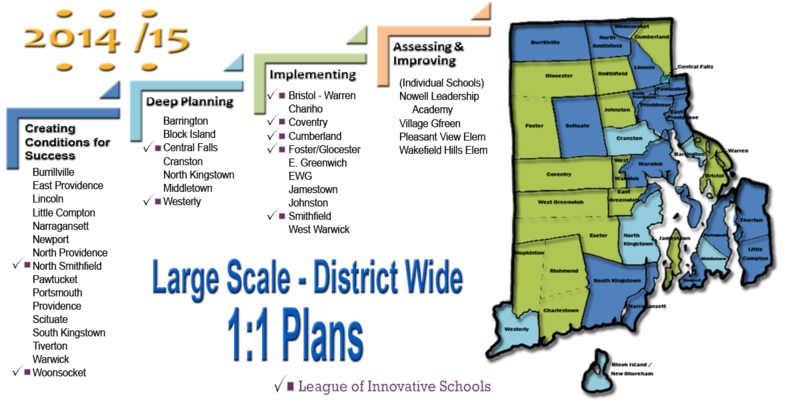 We asked one representative from each of our panelists' schools or districts to supply some baseline data* about 1:1 implementation and are happy to share that information with you here. Please click the tabs above or the Next button to learn more. *Some survey data was obtained at the RIDE website. Other survey data was supplied by panelists as a courtesy for this session and may not represent official data from the schools or districts involved.